The winter is coming to an end and spring is upon us. Here at AAU Case Competition we have been using the winter to look back on last semester and our debut here at AAU Case Competition. Before we go any further, we would like to tell the competitors from last semester how grateful we are for all their support. What we observed was, that Aalborg was and are ready for an event of this proportions for the student and that we are very fond of. 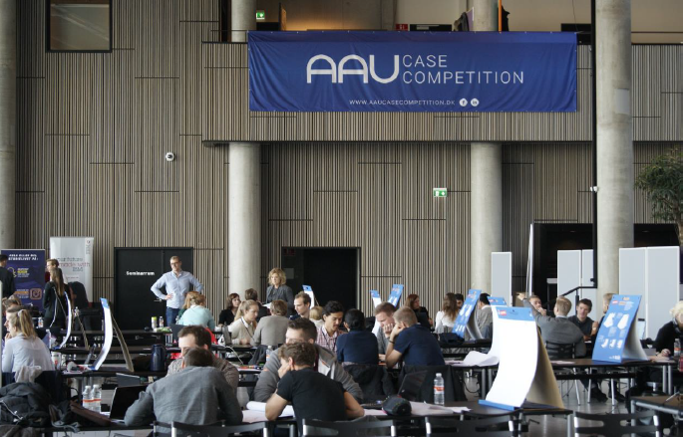 Together with COWI and all the other instances that are involved with AAU Case Competition, we managed to create a case in which the attending students had a great opportunity to distinguish themselves. 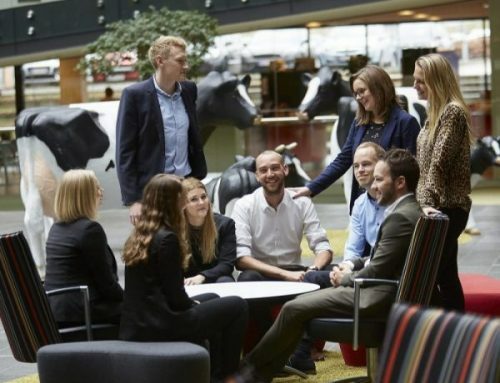 During the case-solution day, it was a pleasure to observe the students work together under pressure to create the most innovative and creative ideas. All the groups did their very best and we are all very proud of them. But only 3 groups were chosen for the final day – Corporate Lounge. 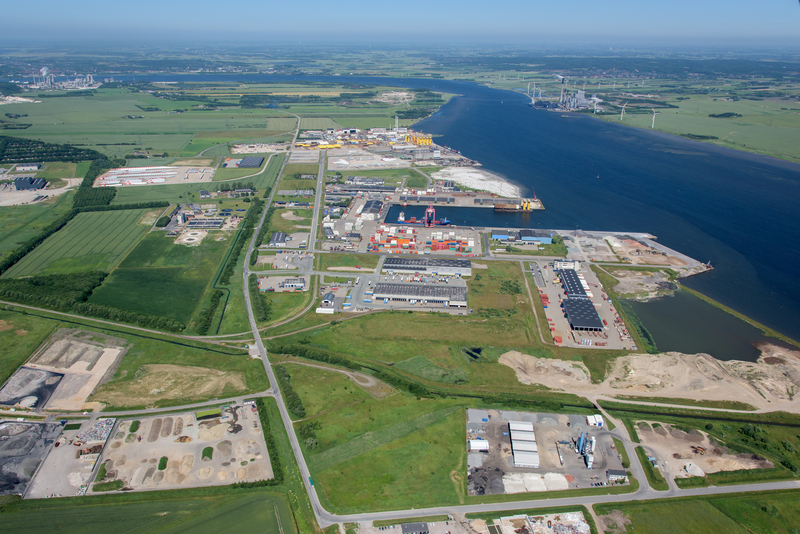 An event, we and a massive representative selection of companies from all over Denmark had looked forward to, and it was a spectacular success. Case presentations and networking was in focus, and I think I speak on behalf of all the attendants that if you did not go there, you missed something extraordinary. The students attending all came up with their own idea of “The City of Tomorrow”. But only one group took the first prize and the eternal glory of calling themselves champions of AAU Case Competition in the autumn of 2016. 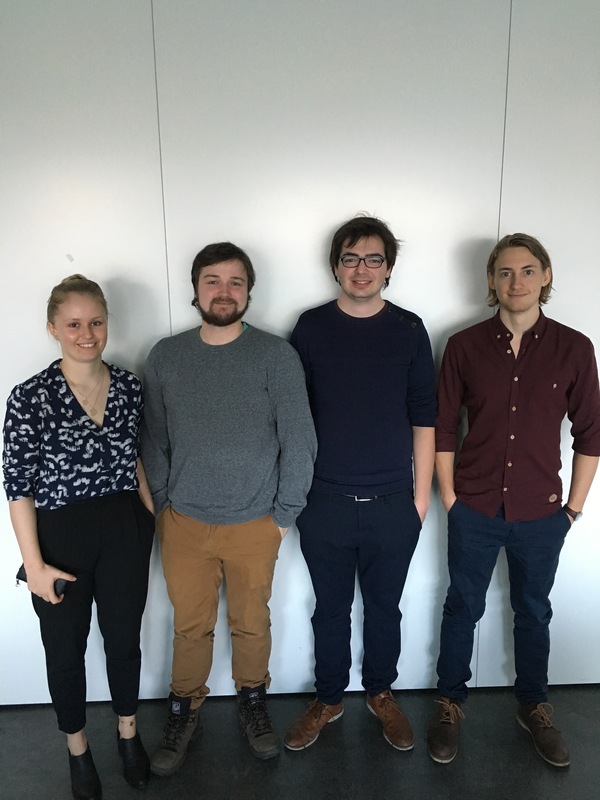 The winning group was group number 11 with the attenders; Marie- Louise Knop Lund, Anders Søbye, Jannick Kjær Jørgensen and Mads-Peter Verner Christiansen. All from the faculty of Nanoscience. 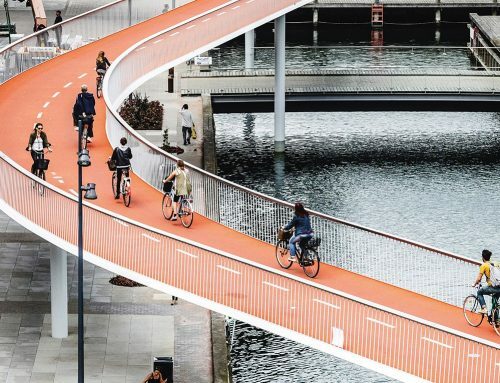 They showed us how you, under an unfamiliar circumstance, can create a creative and solid case solution outside of your normally field of working. Which is truly the spirit and identity of AAU Case Competition. As a successor of AAU Case Competition, COWI invited all of the contestants on a “COWI visit” on march the 3rd. 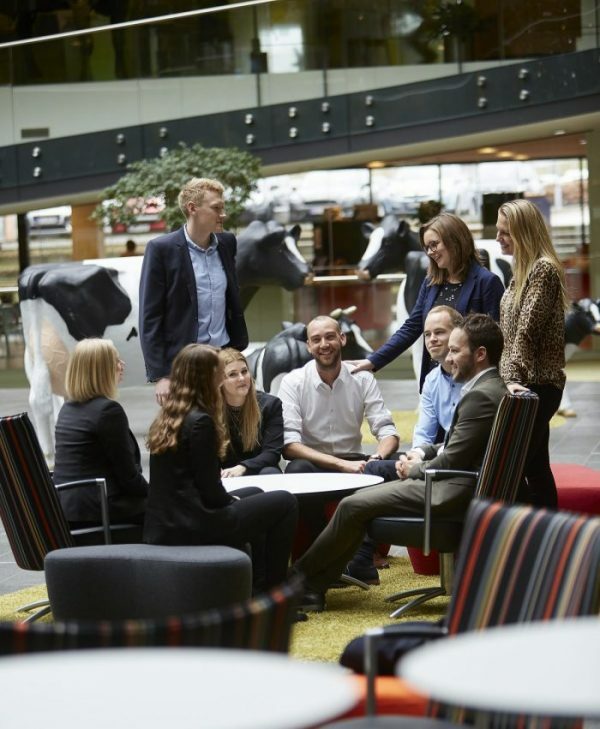 The COWI visit was an opportunity for the contestants to explore the COWI office in Aalborg and learn more about what COWI are doing for the world and how it is operated. 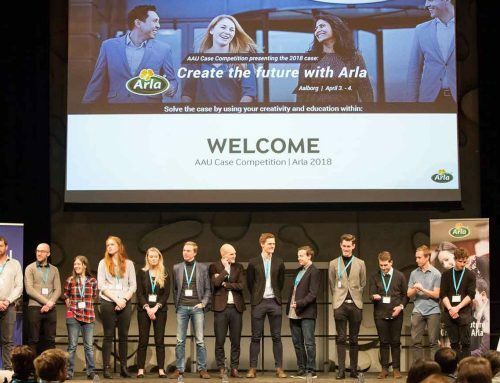 In this occasion COWI had invited the contestants for breakfast in which the winning group and the second-place group were going to present their case solution from last year, to the employees at COWI Aalborg. And yet they won. That is pretty impressive. Besides, AAU Case Competition has been and will be a great boost for your CV. Not only during Corporate Lounge, but also with the diploma you can add to your future job application. So, what we hoped for has happened. 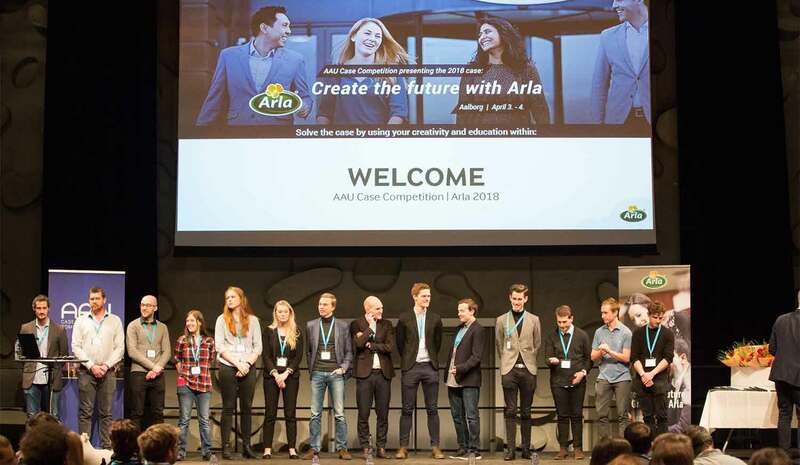 The students love AAU Case Competition, and we love that the students want to attend our event and contribute with their hard work and open minds. AAU Case Competition is now looked upon as a fun playground for ambitious students who wants to practice their skills in any way, by being creative. 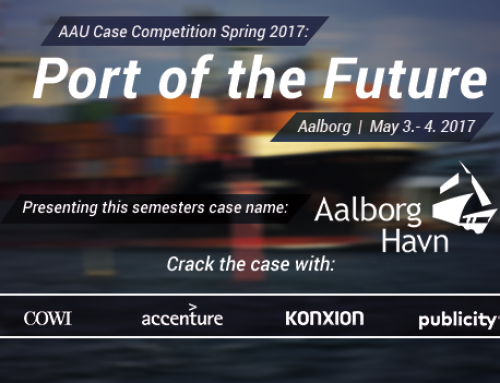 We at AAU Case Competition has been grateful for last semester’s event and we are looking forward to this year’s event. 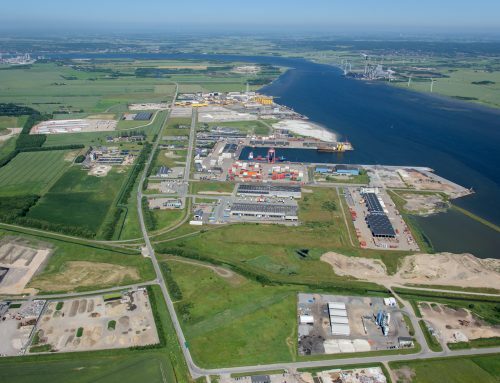 This semester’s case will be made by Aalborg Port. A huge organization with unlimited potential. 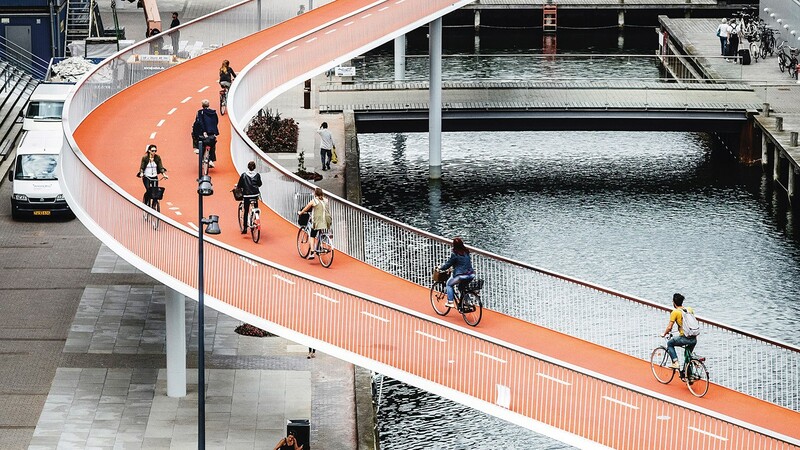 Imagine yourself work creatively and innovatively with such an exciting partner that makes it possible for all studies to work with the case. And the best of it all is, that is fun. What’s not to like? The winning-group of the first edition of AAU Case Competition. You guys were so creative!